Everyone swears that their local Indian restaurant is the best. It’s certainly now possible to have some fantastic meals in suburbs and small towns around the country with locally sourced ingredients, freshly made sauces and inventive cooking. 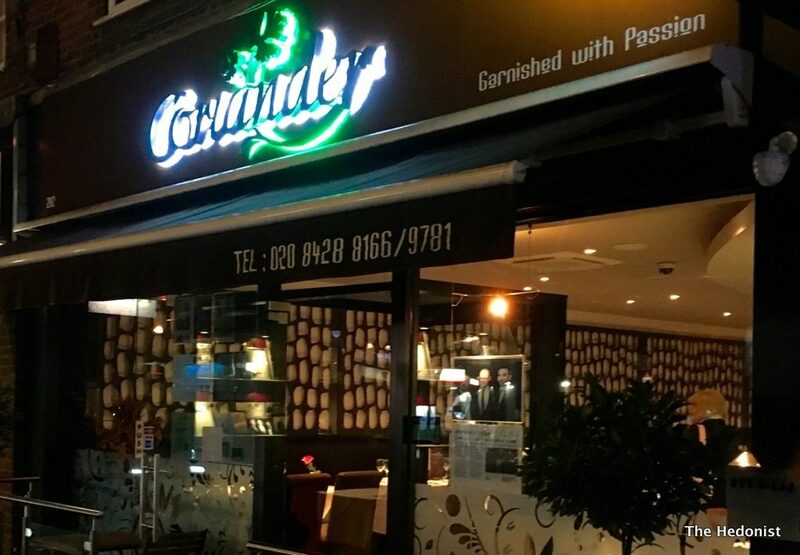 But when I received an invitation with a small group of bloggers to review Coriander in Hatch End I was at a bit of a loss. To be honest I didn’t know where Hatch End was and was rather chastened to find out that it was a mere seven minute drive from my flat in Harrow with its own stop on the Overground to Watford. 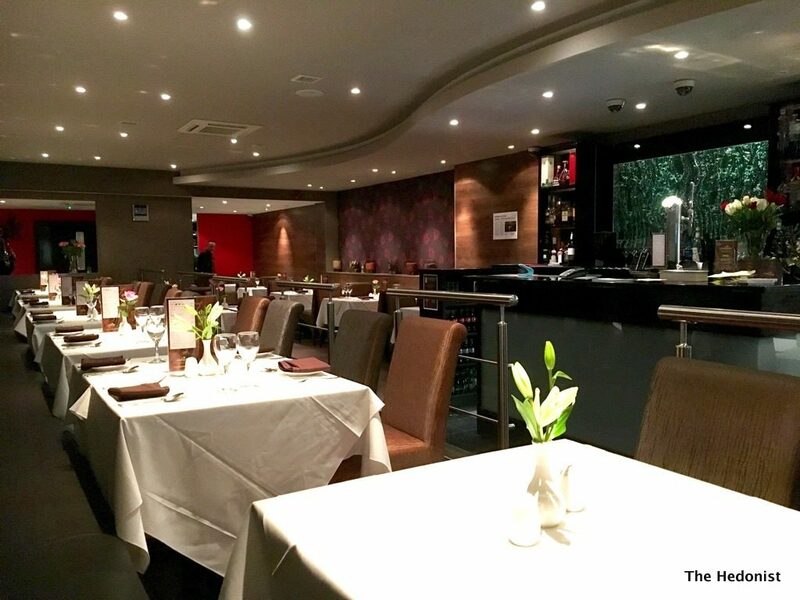 On arrival I found a smart room with a menu that mixed classic dishes with some intriguing signature plates. It was these that we decided to explore. The drinks list includes an amusingly retro cocktail list but I went for a well-made Mango Lassi (£2.95) and my companions chose a bottle of crisp Sancerre (£28.95). 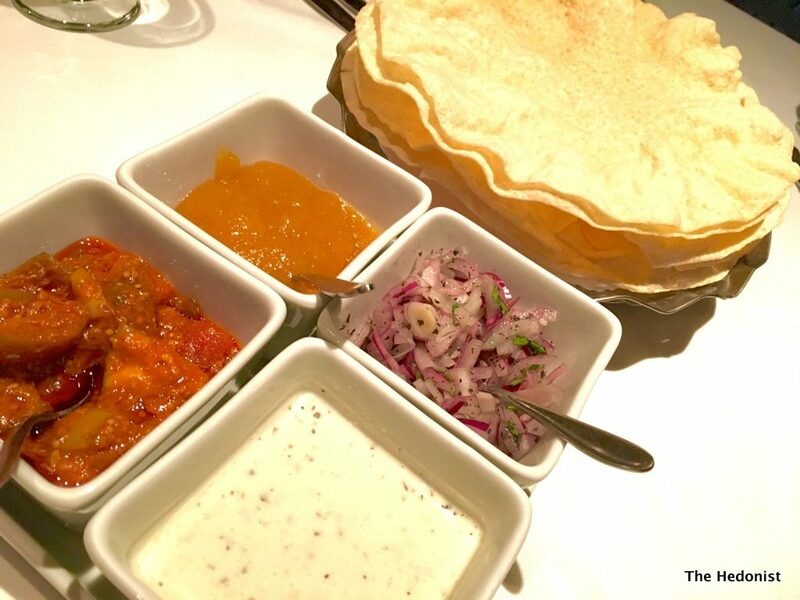 Whilst we investigated the menu we nibbled on some fresh crisp poppadums which came with a zingy mango chutney, a poky lime pickle, some red onion and raita. The Vegetarian platter (£14.95) was a symphony of textural contrasts. 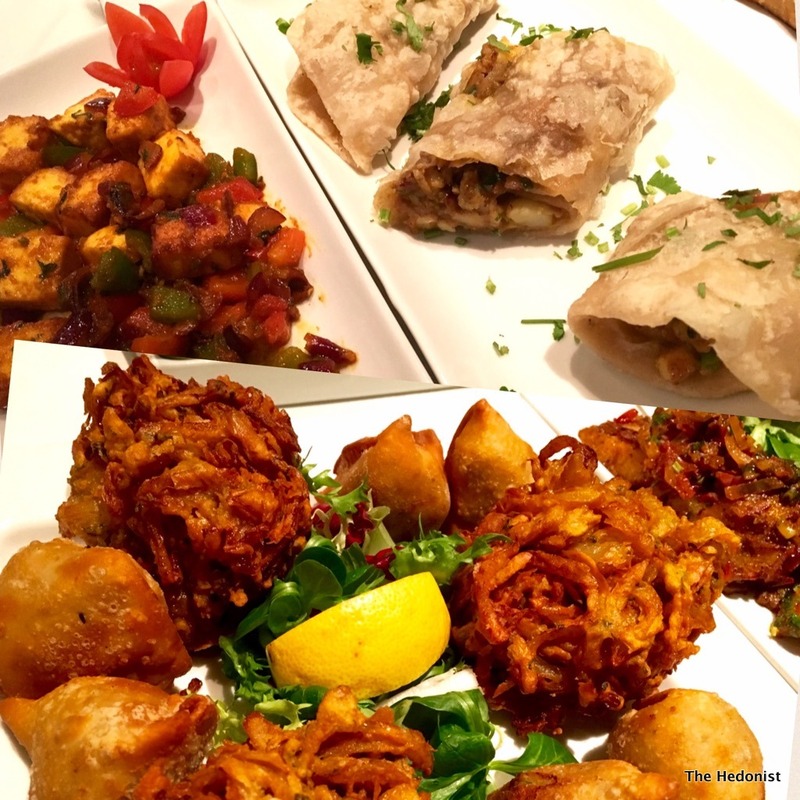 The heat of a chilli paneer was mitigated by the softness of the home-made cheese, onion bhajees were all about the crunch, Aloo imli puri were dense little nuggets of spiced potato, and the shingara (delicately spiced vegetable pasty) was held together by some deliciously flaky pastry. 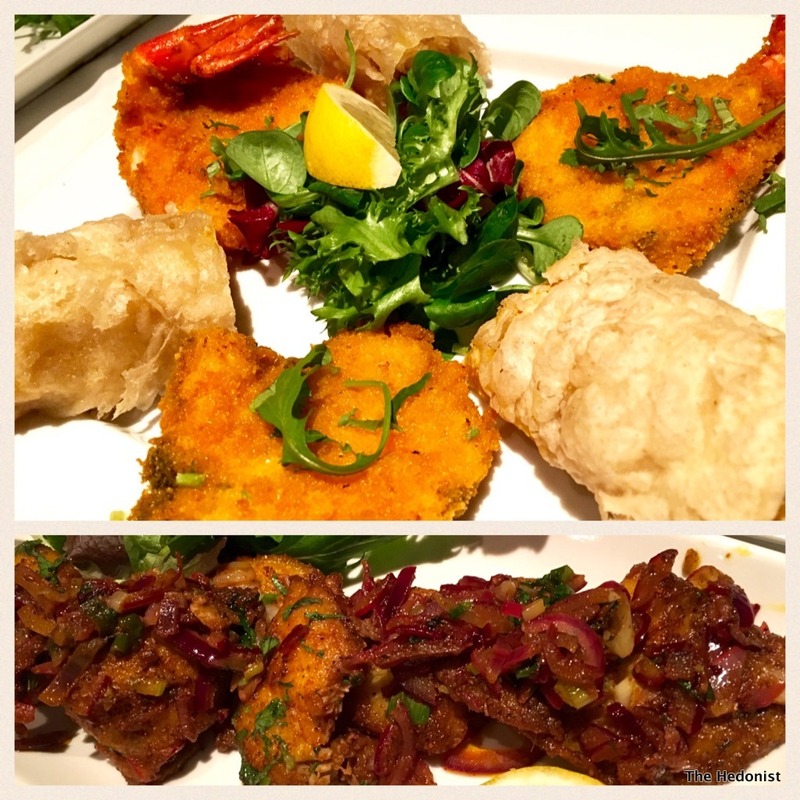 The Seafood platter (£16.95) featured prawn puri with some tangy prawns nestling in the light pastry, a rich hot fish tikka with just a hint of sourness, and crisp lightly-spiced king prawns. Both platters made great sharing plates or could be main courses in their own right. 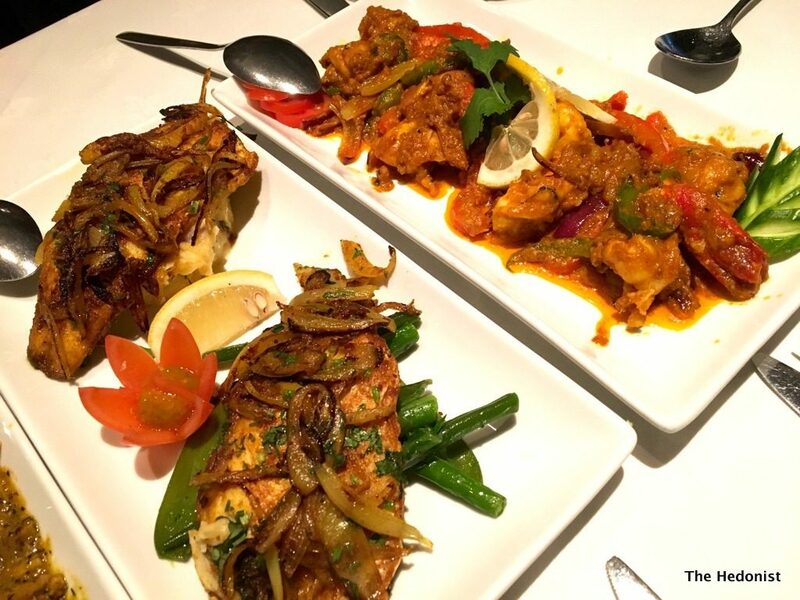 Bhaza bass (£14.50-on the left) was a well seasoned pan-fried bass perched on top of a fluffy bed of Indian mash. It had a real depth of flavour without compromising the bass. A tender Hariyali Chicken (£11.90) was prepped with a dry spice rub and then cooked with mint, coriander and green herbs giving it a very fragrant character. 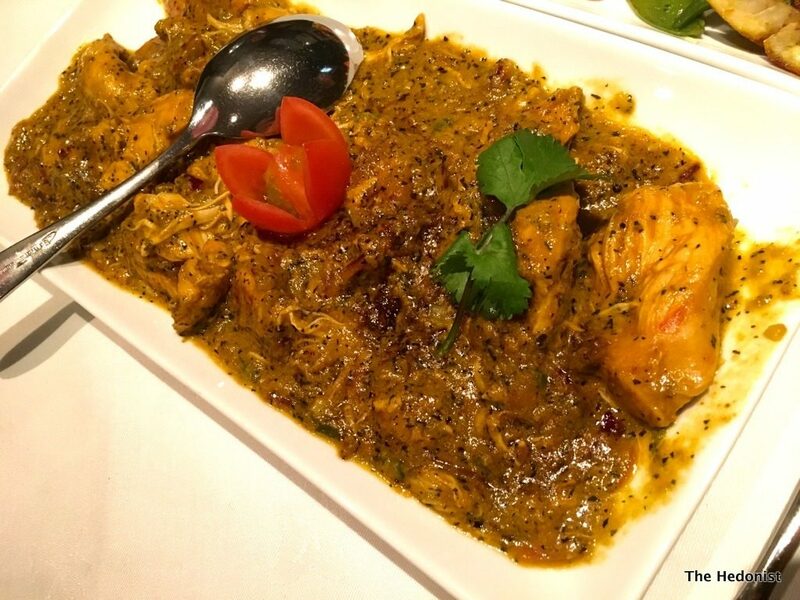 Khulna king prawns (£15.90) were deliciously light and zestily spiced with herbs in a thick sauce. The side dishes were totally on the money. Lemon rice (£3.90) was crisp and infused with a lemon peel flavour. 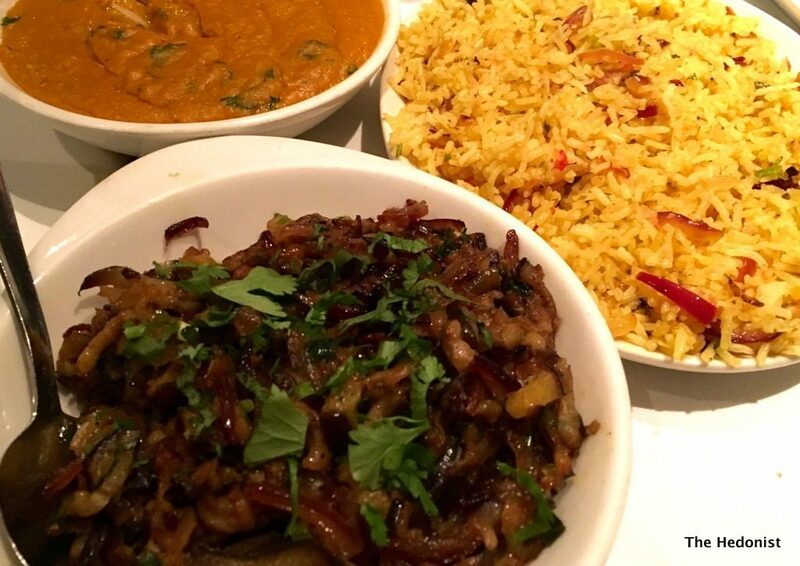 Brinjal Bhajee (£4.25) was a garlicky mess (in a good way) of aubergine, and the Dal Massalla (£4.25) was a rich, thick spicy plate of lentils. 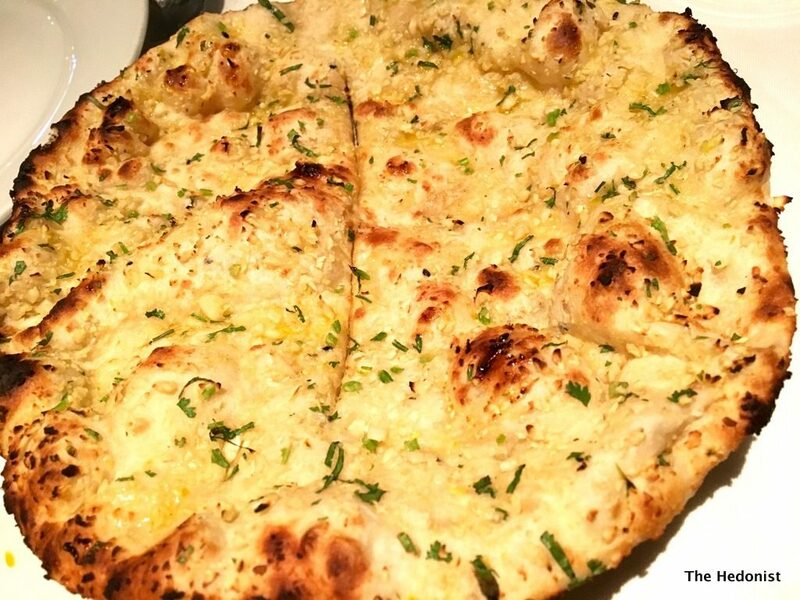 The Garlic nan (£2.95) had a slight char like a great pizza base and was deliciously studded with the pungent allium. 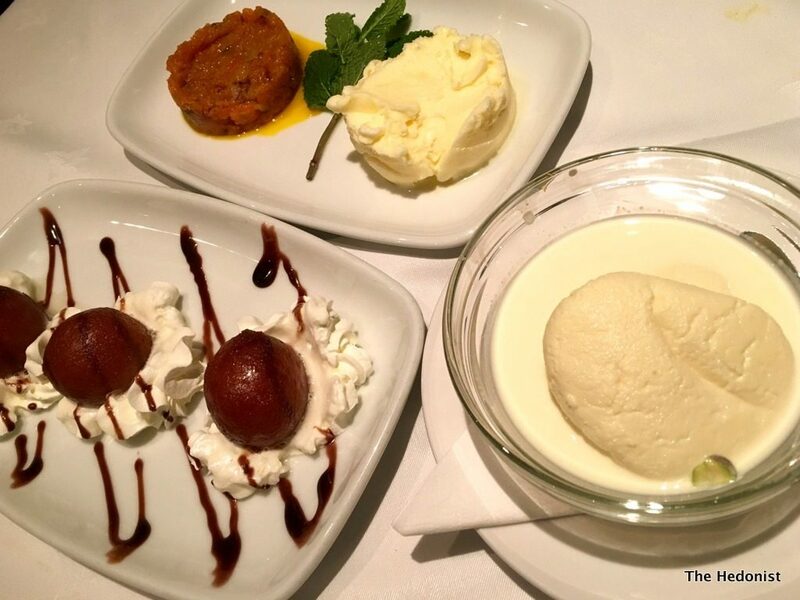 Homemade desserts included Rasmalai (£4.50), a sweet cheesecake made with fudgy, milky curds, and my favourite Gajar ka Halwa (£4.95), sweet caramelised carrot with nuts, sugar, honey and a fab cardamom ice cream. I was really impressed with Coriander and I’m not alone as it has scooped up several prizes. 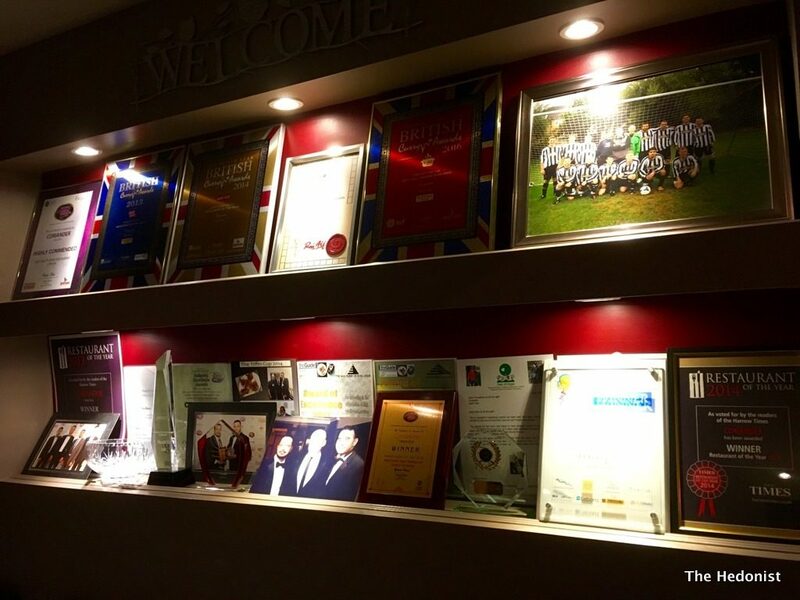 There was a consistency of quality and creativity that makes it much more than a good local restaurant. With good transport links and easy parking it’s definitely worth the trip.